write, edit, blog: Happy Birthday MMJ! MMJ has reached its first birthday. And, to celebrate, we’re inviting non-subscribers to see what they are missing. 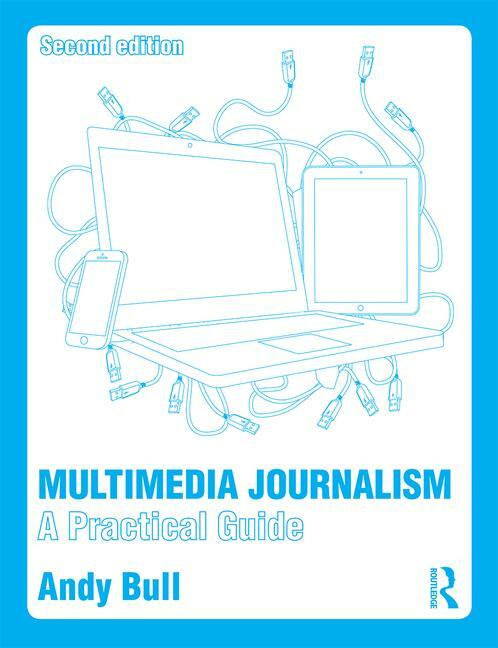 But what is Multimedia Journalism: A Practical Guide, and what does it aim to do for journalists? MMJ was always going to be something of an experiment. When I hit upon the idea of creating a learning resource in multimedia journalism for students and those in mid-career who wanted to catch up with new skills, I knew that a conventional publishing package would be completely inadequate. Because multimedia journalism is a fast-moving area, in which one piece of software or hardware may lead the way for a while but then be totally eclipse, practically overnight, by a new one, a print publication could only do part of the job. There had to be a way of reacting immediately to new developments and to present new programmes of learning as the opportunities for multimedia journalists – such as the new-found ability for non-coders to create their own smartphone apps – developed. So MMJ needed an extensive web platform too. It also seemed pretty dumb to try to tackle topics such as audio podcasting and video editing solely in print. Obviously, a website was the place to demonstrate broadcasting skills, in the media that was most appropriate to them. Yet a print product would still be a vital component of the overall package. Infact, a textbook is the perfect place to present the unchanging absolutes of good journalistic practice. Ensuring that old school journalism teaching underpinned all the new media instruction we covered was core to the approach I wanted to take. So I went for a three-pronged approach, with a textbook, a website, and an extensive social media presence. The textbook had to be completely integrated with the website. The site had to mirror the print version in every way, with each short section of the book having its web equivalent - an equivalent that could be updated at any time. I’ve also tried to integrate MMJ with social media; using Twitter, Facebook, YouTube, Posterous, RSS feeds, and both web- and native mobile phone apps to reach an audience that would not necessarily discover the project through old-media channels. I wanted MMJ to have a presence on as many platforms as possible, and for those presences to demonstrate the best use of each platform. I also wanted to create a community of students and media professionals, and to be able to present new areas of multimedia journalism as they arose. So I developed an area of the website called Masterclasses, where industry professionals could share their expertise with the MMJ audience of keen learners. Having the Masterclasses area meant that new areas that were not originally included in the book and its web-mirror could be built. So for example data journalism, which has increased massively in importance since MMJ launched in February 2010, thanks to Wikileaks and the UK MPs’ expenses scandal, could be given its own programme of learning. And, as the employment market for newly-qualified journalists went through its convulsions, representatives from each area of the media – local papers, broadcasting, consumer and B2B magazines, could give their up-to-the-minute advice on getting that all-important first job. One year on I believe the experiment is working. We’ve published 21 masterclasses on topics as diverse as Web 3.0, how to use your iPhone to become a completely mobile multimedia journalist and broadcaster, and how to use Facebook and Twitter as both publishing platforms and story-finding tools. The website is regularly updated, thanks in part to enthusiastic community members who alert me to broken links and outdated content. None of this would have been possible if I hadn’t found an editor, in Aileen Storry, and a publisher, in Taylor and Francis, that understood the need to reinvent the textbook as a multimedia entity if the MMJ project was to succeed. Inevitably, MMJ will never be completed. There are many new opportunities and areas of expertise that multimedia journalists need to master. I’ll be previewing what’s to come over MMJ’s second year soon. And non-subscribers will get a series of insights into the new areas of learning we have been covering.